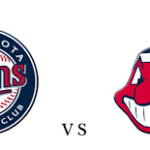 This game will start a three game series between the Minnesota Twins and the Cleveland Indians that is going to be played at the Progressive Field. This series will be a repeat of a recent four game series where the Indians swept the Twins, taking all four wins and even their position in the table. At the time of writing, neither team has finished their last game of their previous series, so we will look at the stats from each team with that one game missing. The Twins are coming from a three game series against the Chicago White Sox, which they started by getting two wins in a row that ended 9 – 7 and 4 – 2. The Indians, on the other hand, are coming from a four game series against the Baltimore Orioles, which they started with a great 12 – 0 win in the first game, only to be tied 6 – 5 in the second game. In the third game, the Indians got another win, with a 5 – 1 scoreline. These two teams have had similar seasons, hanging close to the top of the table in their division. The Twins have won thirty six and lost thirty three of the sixty nine games they have played in 2017, for a .522 winning percentage that has them as the second placed team in the central division of the American League, a game and a half behind of the Cleveland Indians in first place and two games ahead of the Kansas City Royals in third place and six and a half games ahead of the Detroit Tigers in fourth place. They visit the Indians at the Progressive Field, with an away winning percentage that has been incredible, having won twenty and lost nine of the twenty nine games they have played away from home, for a .690 winning percentage when playing away from their fans. The Indians are having a pretty good season so far, having won thirty eight and lost thirty two of the seventy games they have played in 2017, for a .543 winning percentage that has them as the first placed team in the central division of the American League, a game and a half ahead of the Minnesota Twins in second place, and three and a half games ahead of the Kansas City Royal in third. They have to receive the Twins with a home performance that has been bad, having won fifteen and lost seventeen of the thirty two games they have played at the Progressive Field in 2017, for a .469 winning percentage when playing at home. Both teams come into this game from positive results, with the Twins winning their last two games, while the Indians have won their last game. The main difference is their performance in their last ten games, with the Twins winning four and the Indians winning seven. Adalberto Mejía is the most likely pitcher for the Twins and he will be looking to start his tenth game this year. In his previous games in 2017, the sophomore has been able to get one win and three losses, while not being decisive in the other five games he started. He has pitched 40.2 innings, allowing 43 hits, 27 runs and 9 home runs, while also getting 36 strikeouts and an earned run average of 5.53. Trevor Bauer will be starting for the Indians on the mound in what will be his fifteenth start of the season. In his previous games, he was able to get six wins, losing five and leaving three games undecided. This year, he has pitched 74.2 innings, allowing 77 hits, 46 runs and 12 home runs, for an ERA of 5.54 and with 89 strikeouts.